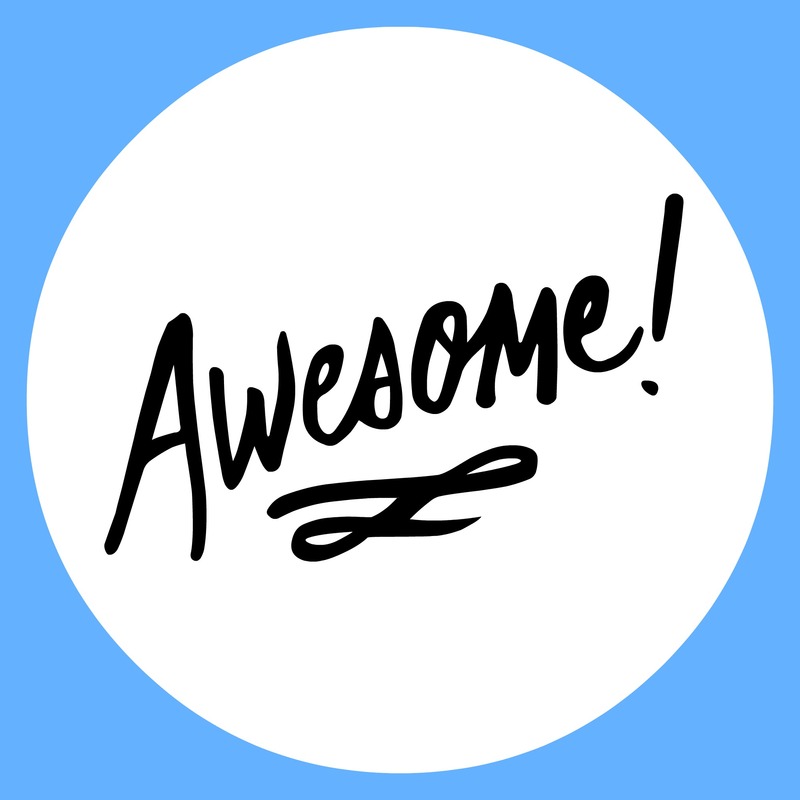 Looking forward to the children going back to school but dreading those chaotic school mornings? 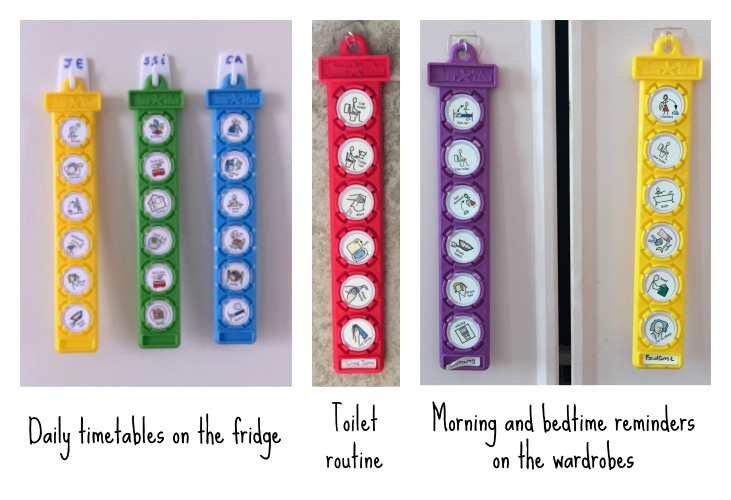 Help your kids learn to get themselves ready for school, know and understand their own routine and remember what they need to pack – with less nagging from you and a lot less stress all round. It really is easy with a little help from TomTag! 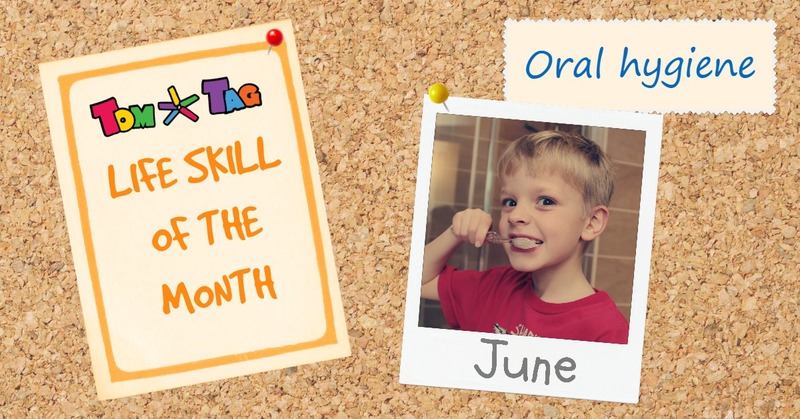 The tags featured in this video were made using TomTag’s I can do it – self care skills and I can do it – pack my bag for school kits. 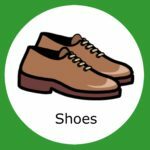 Learning how to put on their clothes and shoes is an important step for children to take on the road to independence. 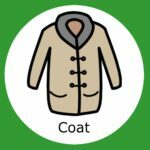 The ability to get dressed by themselves will give them confidence to function independently at school and, once your child has it mastered, it’s one less thing for you to worry about in the mornings! 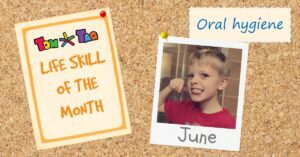 If your child starts school in September then now would be a great time to start developing their dressing skills, giving a few weeks practice time before the big day. 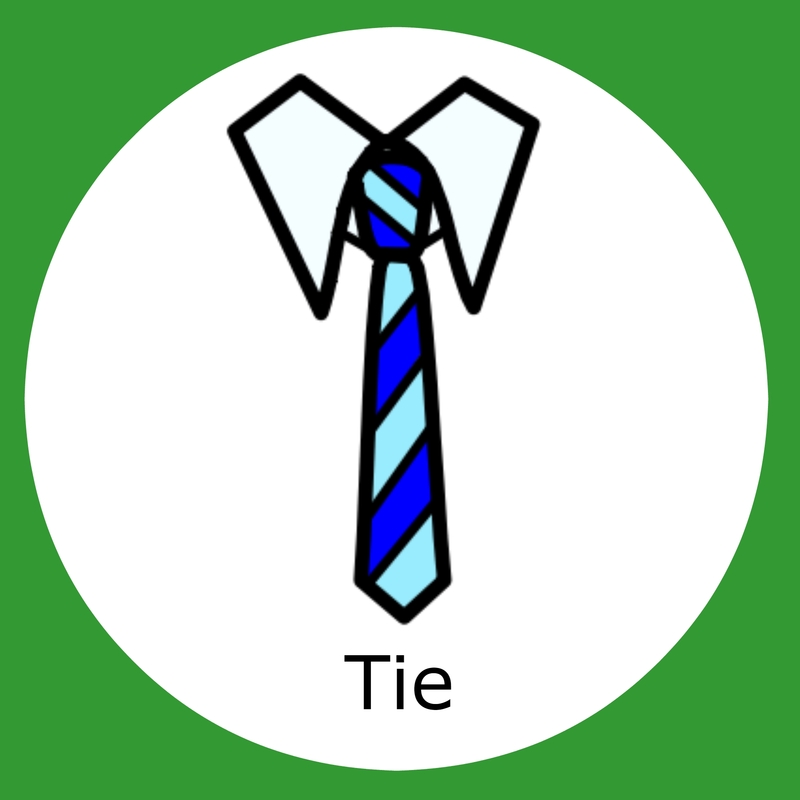 Getting dressed – putting on clothes in the right order, fastening buttons and zips and tying shoe laces – involves mastering many skills. We need balance and co-ordination of movements to get our limbs in all the right places, refined motor skills to deal with many types of fastenings and an understanding of concepts such as left/right and inside/outside. Teaching these skills often requires a lot of patience but the results will be worth it in the long run. Using TomTag to make a simple visual checklist showing what order each item of clothing should be put on is a good place to start. You can also help by laying out clothes the night before, making sure they are the right side out. With practice and encouragement your child will soon be dressed and ready to go before you are! 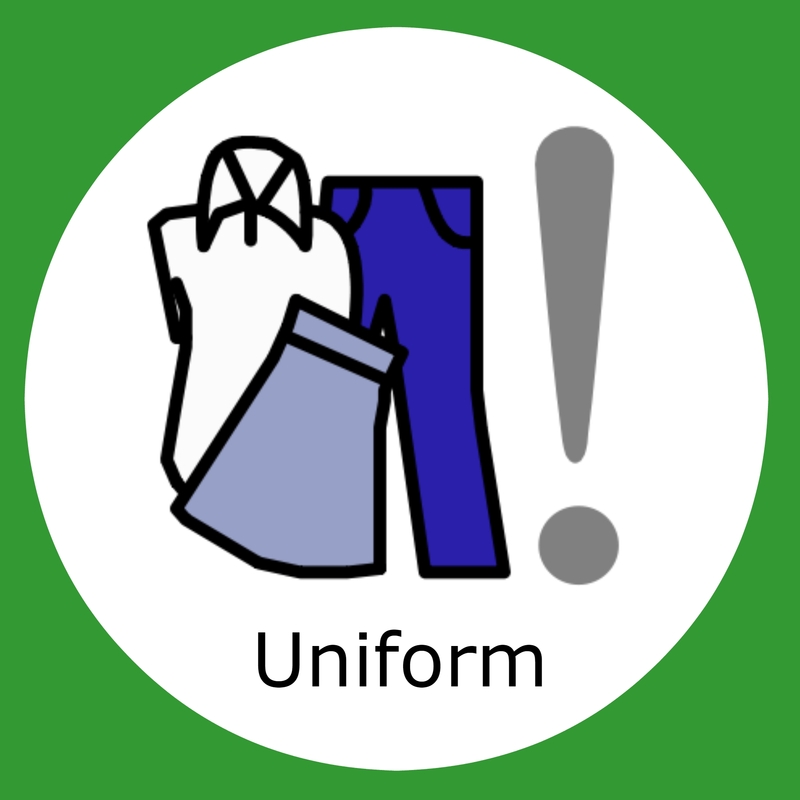 With most schools these days having a uniform, there will be little choice in which clothes your child can wear for school. There are some things you can do though to make things a little easier for them. Only undo the top few buttons on a shirt or blouse and put it on over the head so that fewer buttons need to be done up. Buttonholes on new shirts are often tight so opening them up slightly may help. Choose trousers or skirts with elasticated waists where possible and opt for loose fitting items with velcro or large buttons which are easier to put on than tight fitting ones. 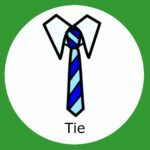 If your child’s uniform includes a tie and an elasticated version isn’t an option, this useful video of a young boy demonstrating how to tie a tie may help. 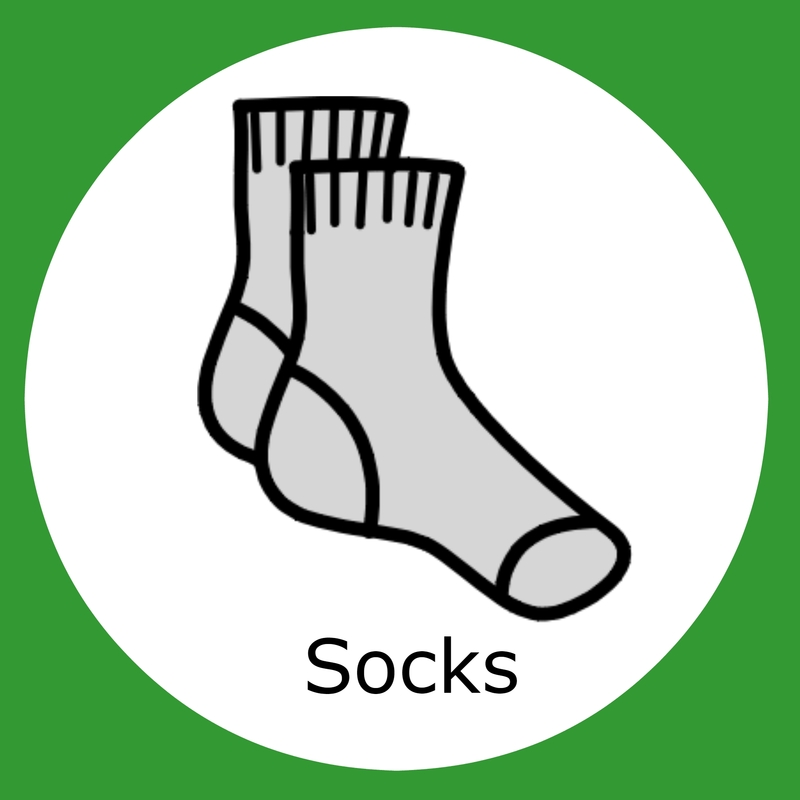 Begin with large, short socks that slip more easily over the feet. Socks with coloured heels make it easier to get them the right way round. 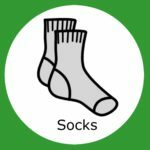 Try Little Grippers school socks for socks that stay on – and up! – all day long. 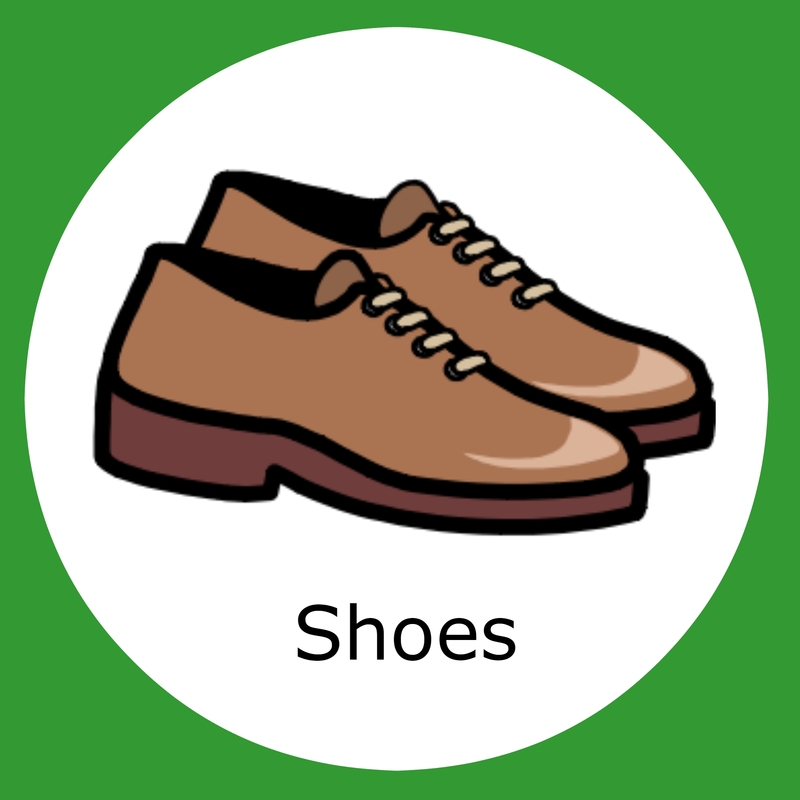 Having a designated place for shoes will save valuable time spent hunting for them in the morning! Of course, these days there are many alternatives to traditional laced shoes available but at some point the skill to tie laces will be required. The ‘bunny ears’ is a popular method and YouTube is an excellent resource for demonstrations of this and other tying methods. 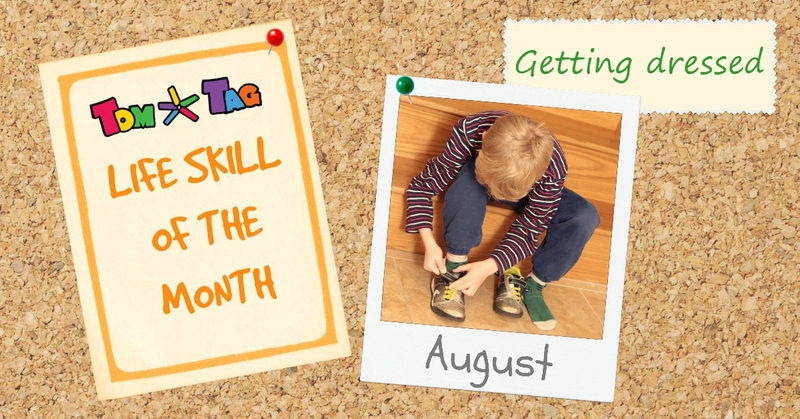 Try practising using different coloured, longer laces but if your child continually struggles with tying laces then there are now several products on the market (such as Hickies, Greepers and Lock Laces) that can help. 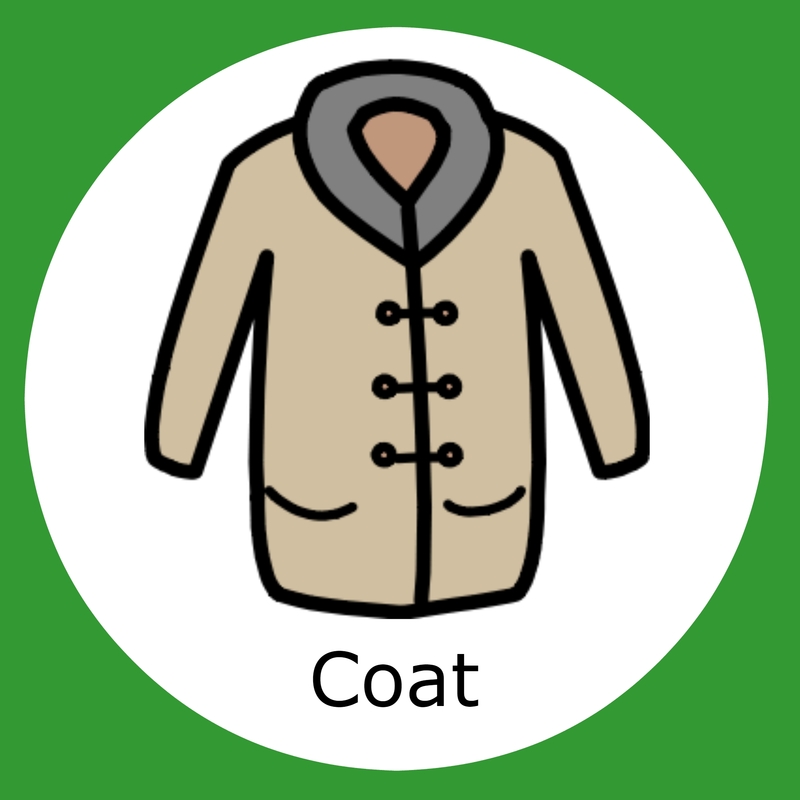 Start practising with different, larger types of coat. If the sleeve by sleeve approach isn’t working try this flip flop over the top method wonderfully described by Connectability.ca – you might want to stand well back until they get better at this one though! Attach a zip pull (like our funky TomTag ones) or a key ring to the zip to help with gripping the tab and make zipping easier. 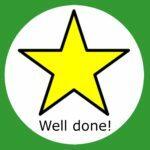 Don’t forget to give plenty of praise to your child for their efforts at each stage and consider using a star chart to help them establish their routine. A great approach to use is ‘backward chaining‘ where the child learns the last step first. Once they can do the last step, teach the second to last step and so on until they have mastered them all. 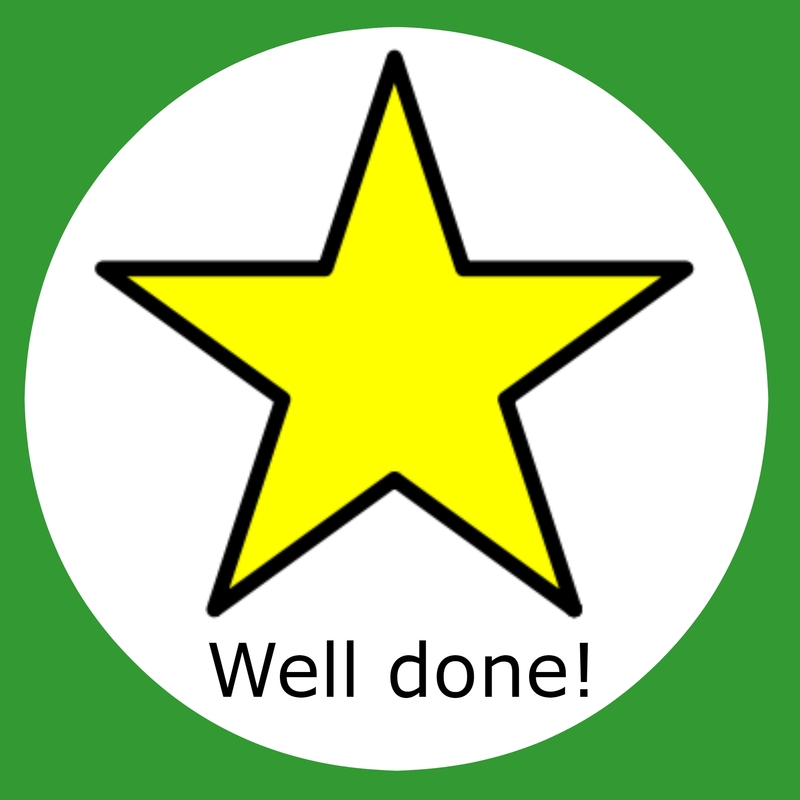 The great advantage of this method is that the child always gets the reward of completing the task themselves. 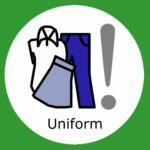 If your child is sensitive to clothing, EcoOutfitters offer school clothing made from 100% pure organic cotton. Check for labels and seams that might cause irritation and cut them out where possible. Washing clothes several times before wearing helps to soften them too. 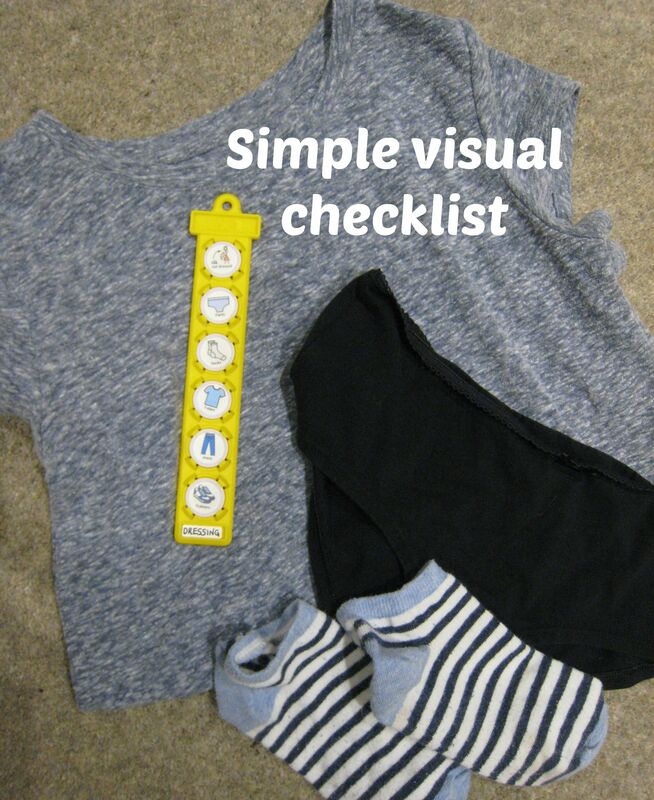 Dressing in front of a mirror provides important visual cues that can help a child with sequencing, body planning and body awareness. 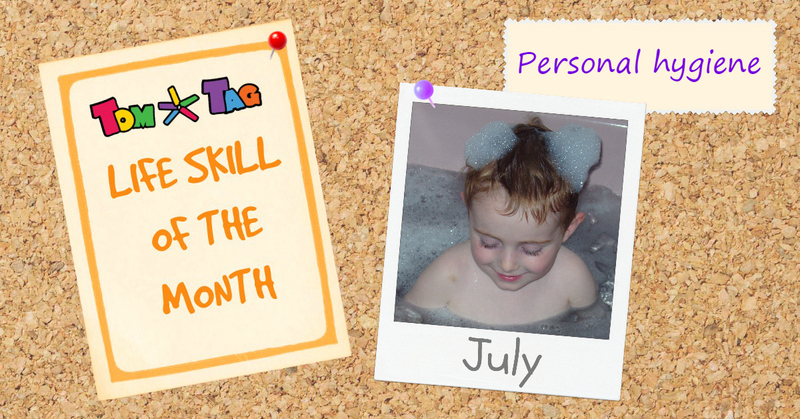 If your child continues to have difficulty with dressing, a qualified occupational therapist should be able to help. Teaching children the importance of keeping their bodies clean is the best way to help prevent infections and reduce the spread of germs. Helping children feel good about themselves and caring about the way they look is important for self esteem and helps them to keep healthy in later life. Parents should lead by example by making personal hygiene part of everyday life. 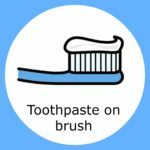 A simple visual checklist breaking down personal hygiene routines into small steps can be an effective way to teach and remind children how to take care of their bodies and will help them develop good personal hygiene practices for life. 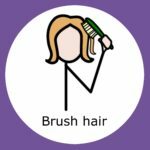 Checklists for learning personal hygiene routines such as hand washing, showering, bathing, hair care or general daily hygiene tasks can be created using symbols from our self care sticker pack. 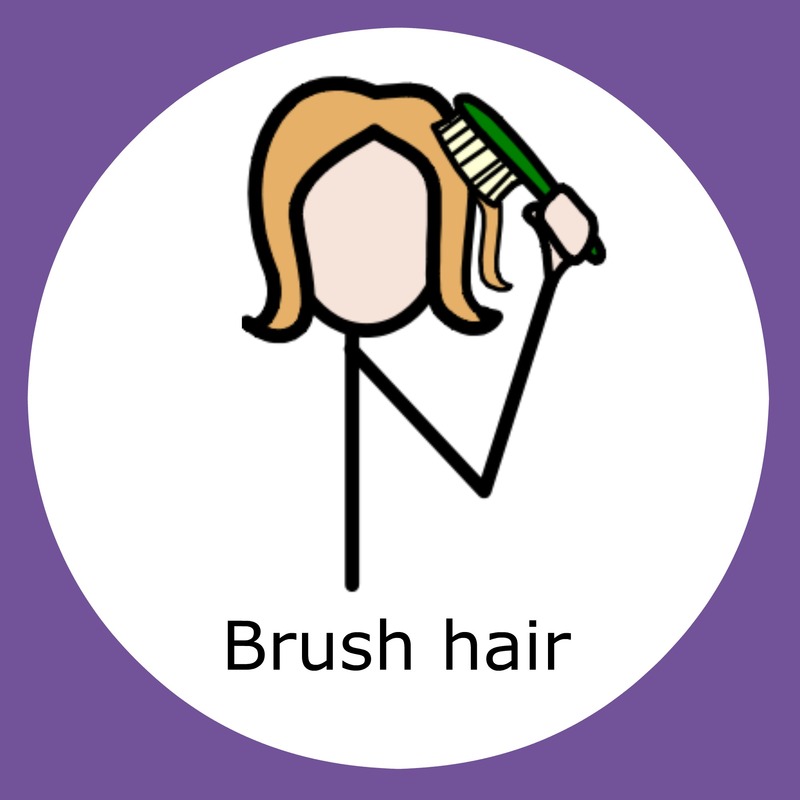 Our In the House sticker pack also contains a selection of personal care symbols. 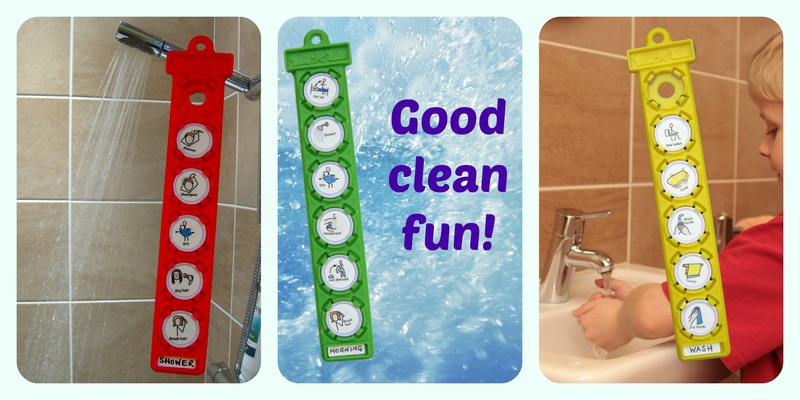 Keep them handy in the bathroom or bedroom – all our stickers, tags and buttons are waterproof so there’s no need to worry about any splashes! 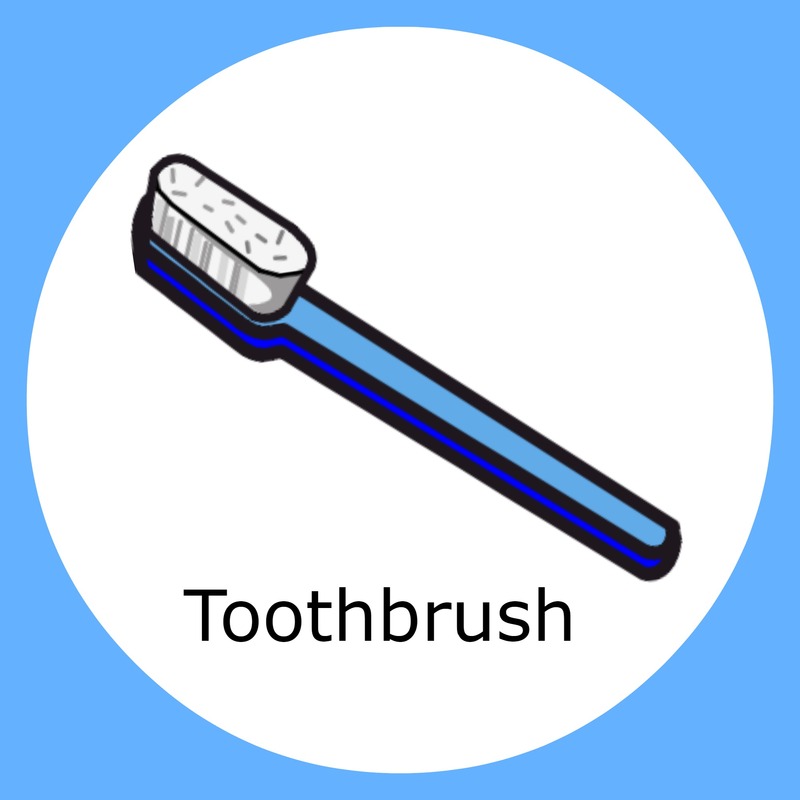 Here’s some tips for hygiene skills we think are particularly important. Hand washing is the most effective way to prevent the spread of infection. Remind children to wash their hands after using the toilet, playing outside, before eating, after blowing their nose or coughing and after petting animals. 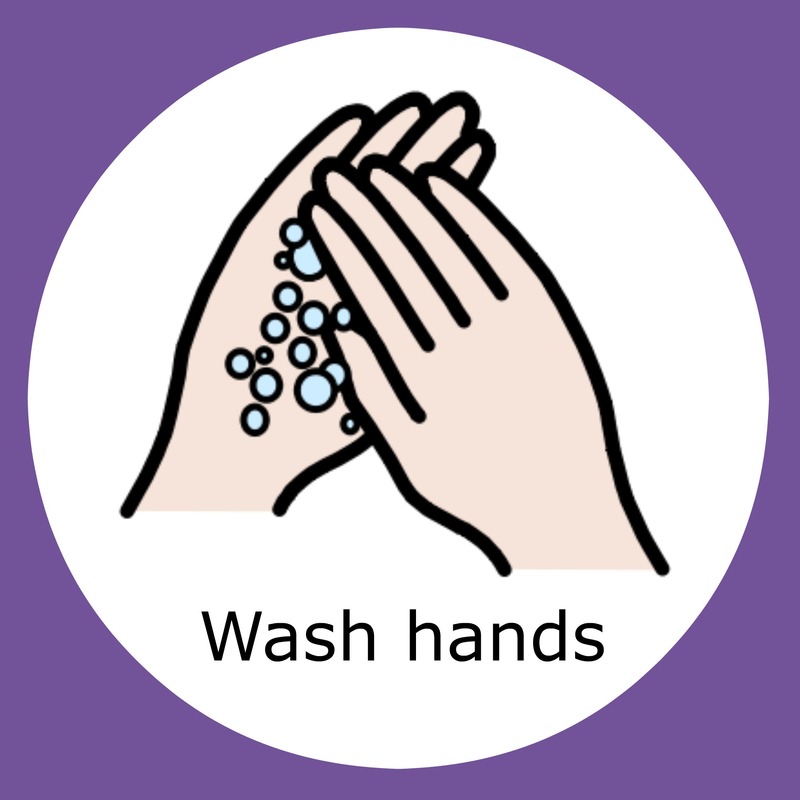 Show children how to wash hands effectively using the 5 step method – wet, lather, scrub, rinse, dry. Get more tips from the NHS wash your hands campaign. Hair should be brushed every day. 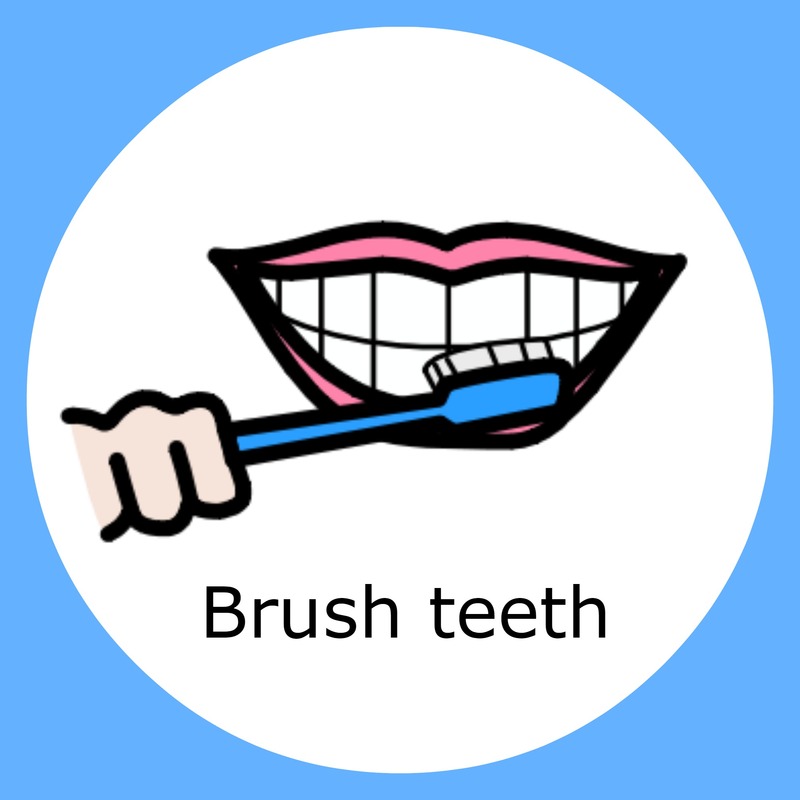 If your child has sensory issues try a brush with a large head and use a firm stroke as you brush. 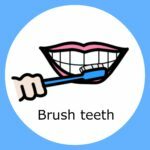 Use strategies such as brushing in front of a mirror so your child can predict when the brush is coming and giving definite time limits to the task e.g. let’s count to 10. 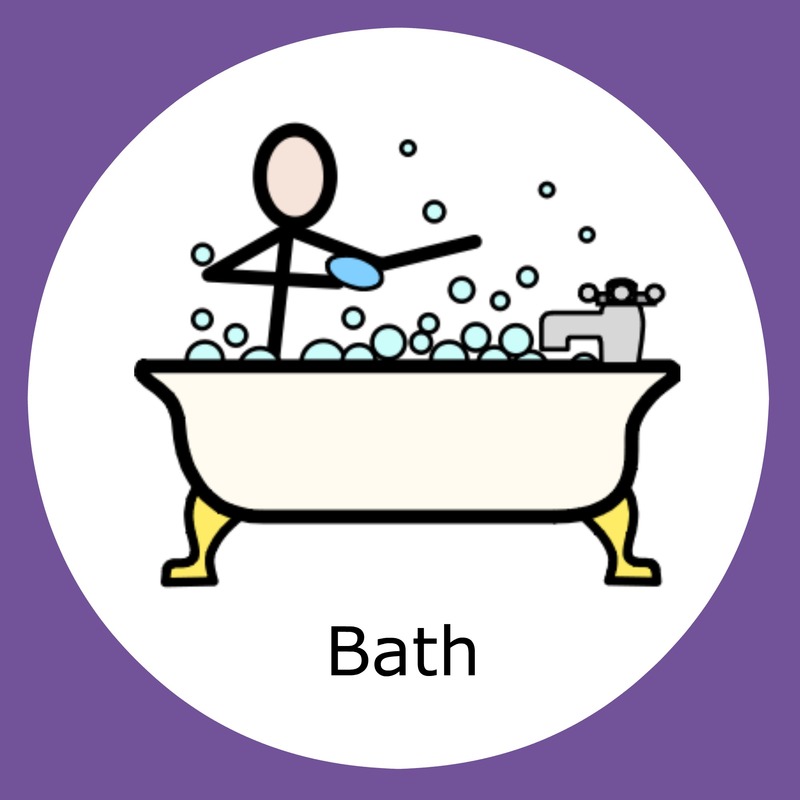 Establish a regular bathing routine either daily or every few days. This may be a calming activity as part of your child’s night time routine. 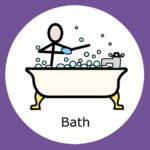 Show your child how to wash the entire body and if sensory issues are a consideration, use non perfumed soap, a large sponge and lots of deep pressure when washing and drying. As your child becomes older body odour may be an issue. 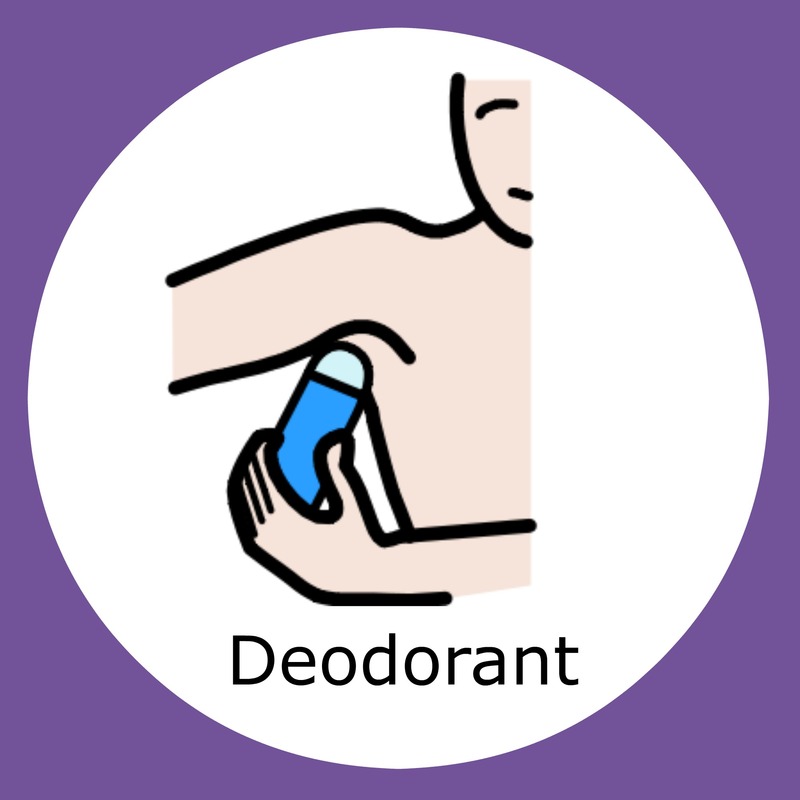 Provide deodorant if necessary and explain why it is needed. 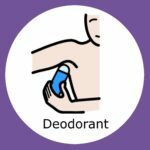 Emphasise that using a deodorant is not an alternative to washing! Keeping nails short helps to prevent bacteria and dirt from collecting under them. 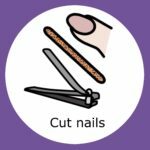 If your child dislikes having their nails cut try using baby nail clippers and cutting them straight after bathing when the nails are softer. 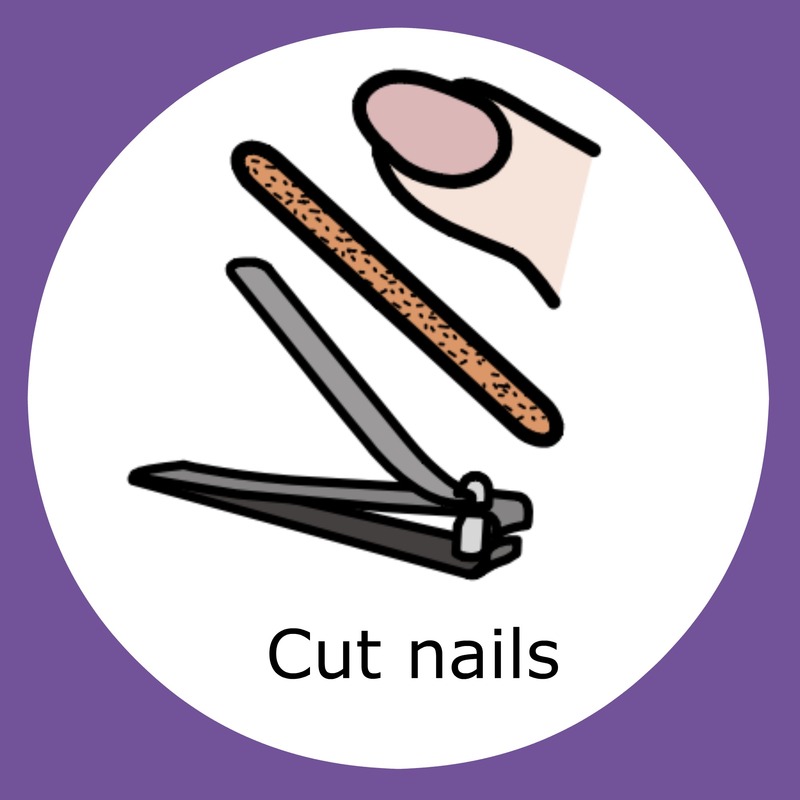 Cutting nails whilst they are asleep is another option but only if your child is a sound sleeper! 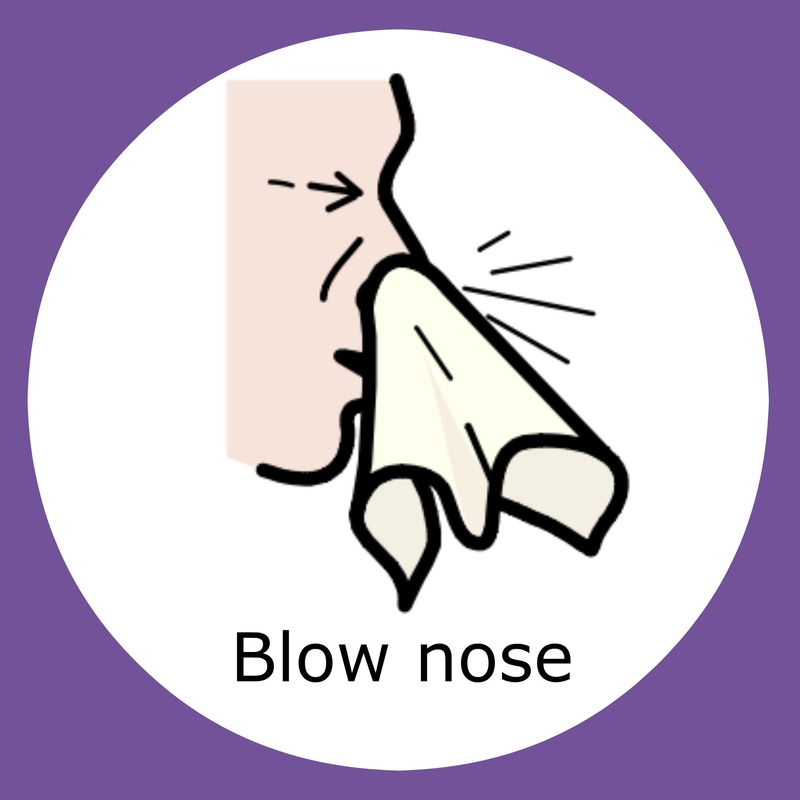 Remind your child not to pick their nose as this increases the spread of germs. 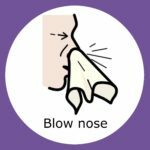 Teaching a child how to blow their nose can be a frustrating task so if you’re struggling this article How to teach kids to blow their nose from Parenting magazine contains some really great tips. 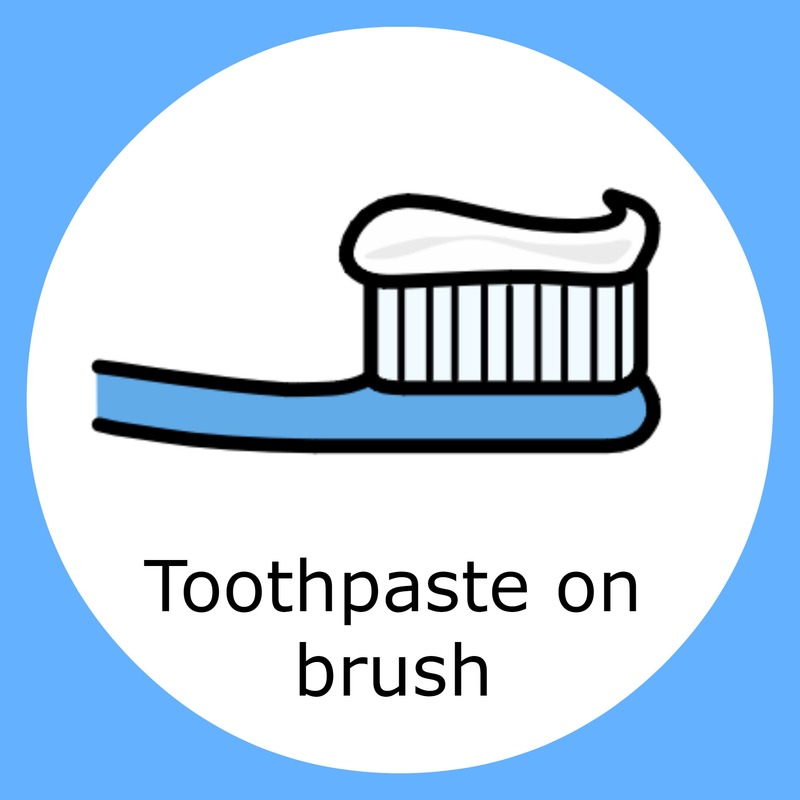 With startling statistics of widespread tooth decay in children being published this week in the latest Children’s Dental Health Survey, it’s clearly an issue in many households. 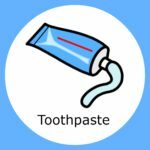 Having a regular and efficient toothbrushing routine is a step in the right direction for putting your children on the road to good dental health. Keeping a simple checklist on hand in the bathroom is a great way to get started. 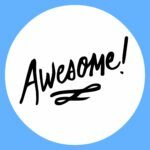 We made this one using images from our Self Care pack. 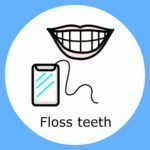 A tag and a pack of stickers = £5.20, far cheaper than a lifetime of fillings and dental treatment! 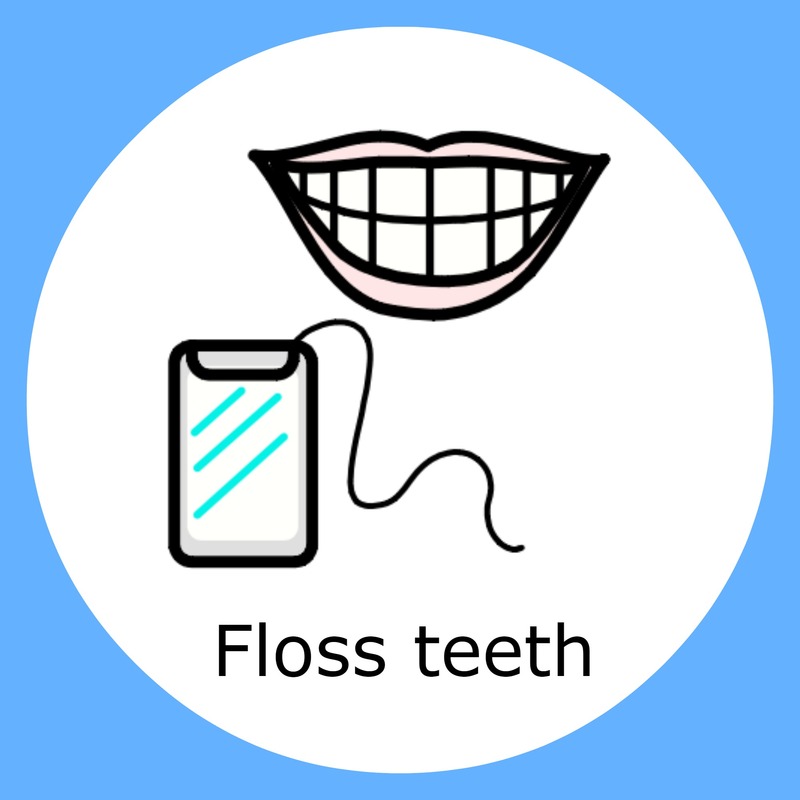 We also recommend downloading the free, NHS-approved Brush DJ app onto your phone or tablet. 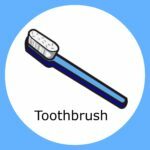 This app plays 2 minutes of music taken from the user’s device to encourage brushing for an effective length of time.